TITLE: Maintenance Engineer REPORTS TO: General Manager Executive Housekeeper SUMMARY STATEMENT The Maintenance Technician performs a variety of maintenance and repair tasks to keep the hotel in compliance with the company and government’s standards for functionality, cleanliness, safety, and security. PRIMARY DUTIES AND ACCOUNTABILITIES Maintenance Responsibilities Maintains the basic upkeep of all rooms and common areas by ensuring all furniture, appliances, and electrical equipment such as televisions, refrigerators and light fixtures are in working order. Ensures all paint and flooring meet company standards. Repairs or replaces all HVAC systems such as individual air conditioning units as needed. Cleans and maintains the hotel’s exterior spaces such as the parking lot, swimming pool, landscaping, etc. Guest Service Offers guests assistance whenever possible. Responsible for resolving escalated customer relations issues. Answers inquiries pertaining to hotel policies and services. Must appropriately address guest requests to ensure customers are satisfied with the hotel’s services and accommodations. Responsible for positively representing and promoting the property. Ensures systems and procedures are in place and followed for guest safety and security. Other Duties as Assigned Assists other maintenance engineers as needed. Properly secures all tools, equipment and supplies after use. 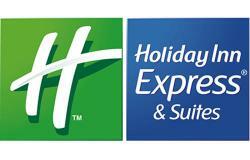 Reports any major repair issues or requests to the Executive Housekeeper or General Manager. SKILLS, EDUCATIONAL BACKGROUND, AND EXPERIENCE High School Diploma, GED, or equivalent years of relevant work experience required. 1+ years of previous maintenance/grounds experience required. Must have working knowledge of plumbing, painting, HVAC, electrical and other general repair skills. Possesses good organizational and prioritization skills. Able to work independently and with others. Superior customer service and communication skills. Must be able to push, pull, lift, and carry 50+ pounds. Frequently walks, bends, climbs, kneels, and extends reach to complete assigned tasks. Possesses the physical ability to perform all the above-mentioned duties within a defined period of time. Use of personal vehicle may be required. Able to work a flexible schedule. Local Underground Repair Company. Looking for hard working dedicated Employee, willing to work! Job Requires, working hard, showing up on time to work and a good Attendance, Truck Driving, Operating a Vac Truck, Man hole repairs, pipe repairs, Confine Space, Fire hydrant Repairs, Operating Excavator, Back Hoe and many tools. Chauffer’s License required, CDL Preferred. Hard Work, Long Hours Full time seasonal, Good Wages Benefit Package Uniforms provided. Must work well with others.